U.S. Rep. Jan Schakowsky (D-Ill.) speaks at an event in January. 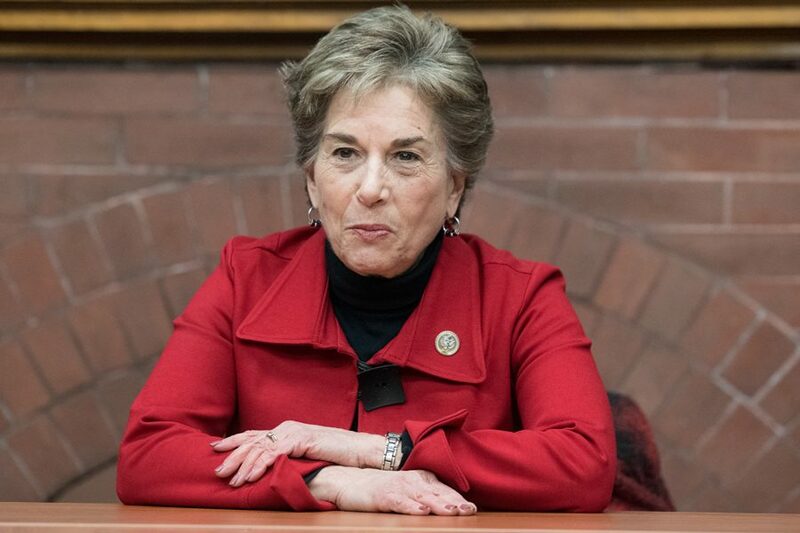 Schakowsky released a statement Wednesday thanking law enforcement for intercepting several package bombs that were sent to influential figures across the East Coast. After several package bombs were sent to influential Democrats and the CNN office in New York, U.S. Rep. Jan Schakowsky (D-Ill.) thanked law enforcement for intercepting the packages before they reached their targets. Over the span of three days, pipe bombs were sent to the homes of former President Barack Obama, former Secretary of State Hillary Clinton, as well as billionaire George Soros and U.S. Rep. Maxine Waters, (D-Calif.), CNN reported. A package addressed to former CIA Director John Brennan was sent to CNN offices in New York. Each package listed Rep. Debbie Wasserman Schultz’s (D-Fla.) district office in Florida for the return address. A package — meant for former U.S. Attorney General Eric Holder — was sent to Wasserman Schultz’s office because the original address was incorrect, according to the New York Times. The FBI is currently investigating the various packages.